Being overweight can be caused by a number of psychological and/or physical factors. My 2 Pathways Programme is designed to ensure that you lose weight and (unlike fad dieting) keep it off. 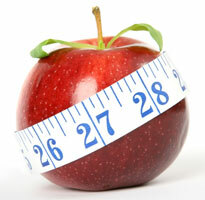 2 Pathways starts with an initial consultation, designed to get to the crux of your weight issue. From here, we can determine which Pathway is the right one for you. Is the best option if there are complex issues surrounding your weight problem - these could include events that occured in childhood that need to be resolved before you can move forward with your life. These complex strands need to be unravelled to enable you to progress towards becoming the person you imagine. Think of a ball of wool. You first need to find the end of the wool, working your way along the strand , carefully unravellingt each knot; until eventually all the knots are gone and the wool can be used once more. Similarly, it is my role to unravel YOUR ball of wool, get rid of the knots and enable you to feel comfortable with yourself and take on the world. This works best if there are physical based issues to overeating, which could include things like boredom eating and so forth. Pathway 2 consists of a fixed number of 5 sessions, during which time we specifically concentrate on breaking old eating habits and re-establishing new ones. In this way we break the cycles of over or bad eating, improve diet and ultimately make you feel better about yourself.